TrueCoach's workout builder makes creating a superset of multiple exercises super easy. 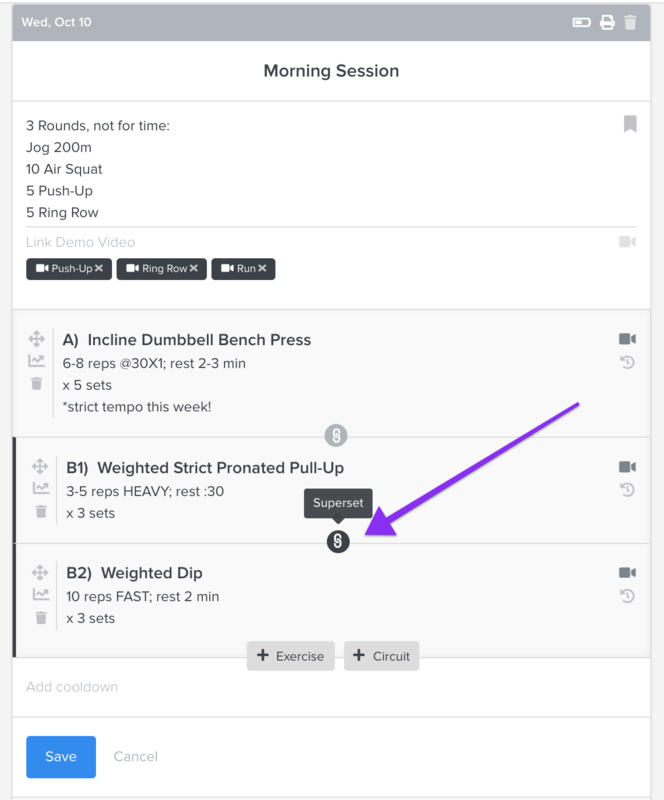 Simply add multiple exercises and click the 🔗 icon between the exercises you want included in the super set. There is also a handy time-saving keyboard shortcut for supersetting...you can hit COMMAND + SHIFT + K to superset the current exercise with the previous one. Once multiple exercises have been linked in a super set they will display as "A1,A2" or "B1,B2,B3" etc.